The goal of blackjack is exceedingly simple: to reach a total sum of cards higher than the total sum of the dealer without going over 21. Remember: other players do not matter in this game as you will only be playing against the dealer. You are to know your blackjack odds. Only very few decisions need to be made during blackjack games. You simply need to consider your own cards and the cards of the dealer. Also always remember that going over 21 is a bust and you lose automatically. One face-up card gets dealt to every player, including the dealer - though his is face-down. Another face-up card gets dealt again to every player; the dealer's, as well. Beginning with the dealer's left player, every player will decide if he wants to hit for more cards. One every player is done with his hand, the dealer will draw cards for his own. You win if your total card sum needs to be greater than that of the dealer without busting. You also win if the dealer exceeds 21 and busts. You draw if your total card sum is exactly the same as that of the dealer. You lose if you exceed a total of 21. You also lose if the dealer has a higher total than you. These rules of blackjack generally do not change in any significant manner, though there might be some very minor variations sometimes. This goes for both traditional casino and online blackjack games. The face cards of Jacks, Queens and Kings are each worth 10 points. Aces are each worth either 1 or 11, depending on your own personal preference. Every other card has its own numerical value, as seen. Jokers do not play a part in blackjack. Blackjack refers to a combination of any 10-value card and an Ace received as the first initial cards. This combination pays 1 1/2 times more than your bet, provided the dealer doesn't have a Blackjack also; otherwise, it will be a draw. 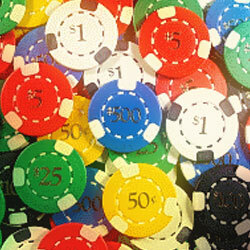 Dealers have to play according to certain rules of blackjack. They need to hit if they get a total of 16 or lower and stand if they get a total of 17 or higher. If you get two cards at the very beginning that have the same value, you have the right to split them into separate hands. You will get another card for every hand, and your bet has to be equal to that of the original one. There might be different rules of blackjack at the online casino regarding this, though, so make sure you ask the dealer first.